Affordable Auto Repair for Kirkland! 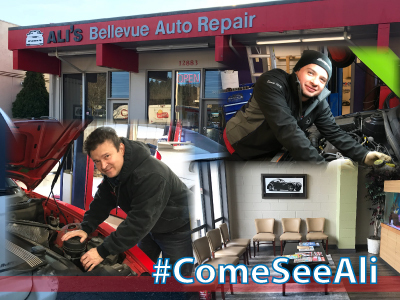 At Ali's Bellevue Auto Repair we are here for you and your car- by offering more services than other repair shops and treating our customers right for more than 20 years. We are located in the heart of Bellevue, but we take care of the auto repair for drivers in Kirkland and all over the Eastside. Have a car problem? Bring it to Ali's! 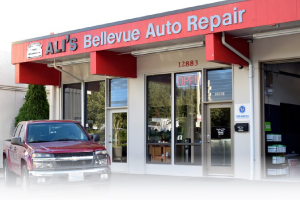 Ali's Bellevue Auto Repair offers extensive services and the most expertise of any area auto shop. For example, we handle ALL brake repairs: Replace worn pads/linings, turn or cut rotors and/or drums, adjust and bleed system, repack wheel bearings, replace calipers, wheel cylinders, and master cylinder. We are also proud to offer complete professional diagnostic equipment. This helps us to make sure we get the problem fixed right and repaired the first time. We'll even handle your Transmission Repair, while most shops sub-contract this work--we can handle it right here! For Auto Repair Kirkland WA customers can rely on time and time again, call us today at 425-450-9713.